It’s hard to believe that it’s March already and Easter will be here soon. One of my favorite parts about this time of year is buying Easter dresses! 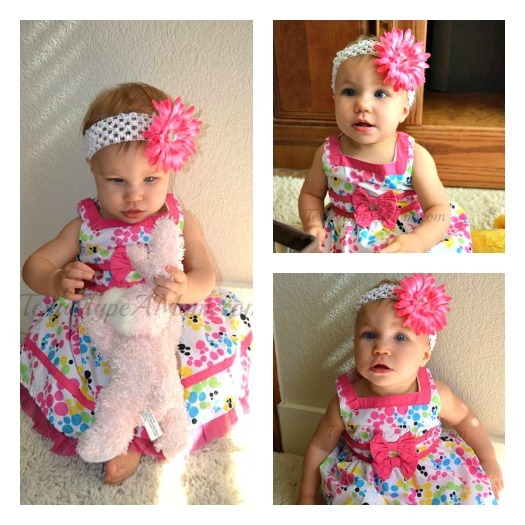 With two little ones at home, I did my shopping for Easter outfits online at Cookie’s Kids. I’m not an affiliate but when this post was written, I did receive credit. Once I saw all of the cute Easter dresses to choose from, I got a little overwhelmed. And I realized how much fun Brady would have picking out her own Easter dress! My vision for this Easter was a color-coordinated one. Not overly matching but with colors that complement. Last Easter Colby wasn’t even 2 months old. 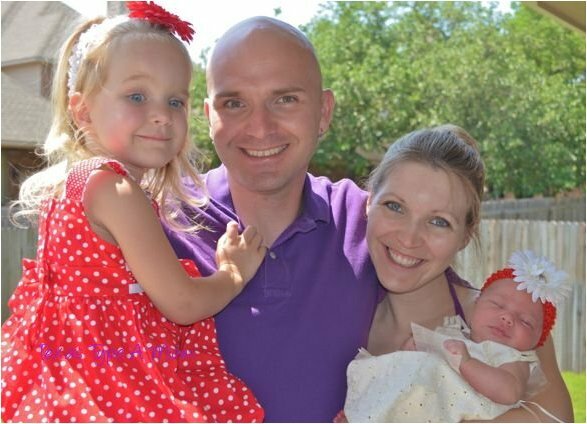 The thought of paying full price for a baby girl Easter outfit made me sick to my stomach. So I decided to have her wear Brady first Easter dress. And I was still wearing maternity clothes, so our Easter look was a hodgepodge of purple and red. Not very springy but it worked. This year I want things to be a little more cohesive. I want the color to go together and look like it’s spring! I know the girls’ dresses may not match. Especially since I’m looking for a toddler Easter dress and infant Easter dresses. But hopefully, the dresses will complement each other. They can each have their own colors or patterns. Since there are always lots of pictures on Easter, I’d love if they’d go together. My husband and I should be able to work around whatever I choose by sticking with basic colors. I love getting the opportunity to dress the whole family up! Brady’s a lot like me and can get easily overwhelmed when there are too many choices. What if you pick the wrong one?! So while Brady was at preschool, I started shopping. My plan was to open up two browser windows so I could have the little girls Easter dresses open in one window and the baby girl Easter dresses open in the other. Next, I opened all the dresses I liked in a new window for each of the girls. Then, I went back and forth between the windows narrowing things down. My goal was not just to get a dress for Easter Sunday, but finding girls spring dresses that would last all season long. Yet also be something that I thought Brady might enjoy. I kept all of the tabs open so Brady could easily switch between her options and really narrow things down. I don’t know if it was I wanted her to pick as much as it was that I’m indecisive and didn’t want the responsibility of picking everything. Gotta love her though! Brady had no trouble choosing a dress. She only had to go through the links once before she found one she loved. She picked the Sugah & Honey Pocket Full of Posies Sundress. Brady usually wears a 4T but since she recently had a growth spurt, I wanted to make sure I chose the right size. Because right now, not all of her clothes are fitting like they used to. Thankfully Cookie’s Kids has the Alva Kids sizing option to find out the right size. 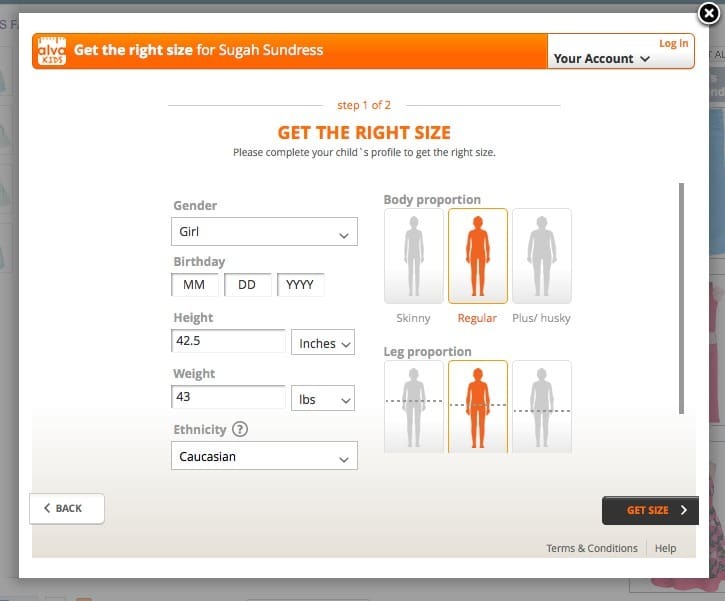 By putting in Brady’s height, weight, build and age the Alva Kids sizing feature estimated the best fit for her. This was such a helpful feature! I know it saved me risking my best guess and needing to make a return because instead of 4T, Alva Kids recommended 5T. Then, I went through the five options I had narrowed for Colby. I picked out the cutest complimentary dress I could find. Colby is on the smaller side and just turned a year old. But since I wanted her to be able to wear it for a while, I used the Alva Kids feature again. I wanted to make sure the dress wouldn’t run too small or fall off of her. This time, my guess was right and I ordered the 12-month size in the Sophia Fae Color Bubbles Dress with Diaper Cover. One thing that usually stops me from buying the girls clothes online is the price. Shipping alone usually makes it not worth the convenience. But everything on Cookie’s Kids was so reasonably priced. Plus shipping was a flat $5.95. No matter how much I ordered! 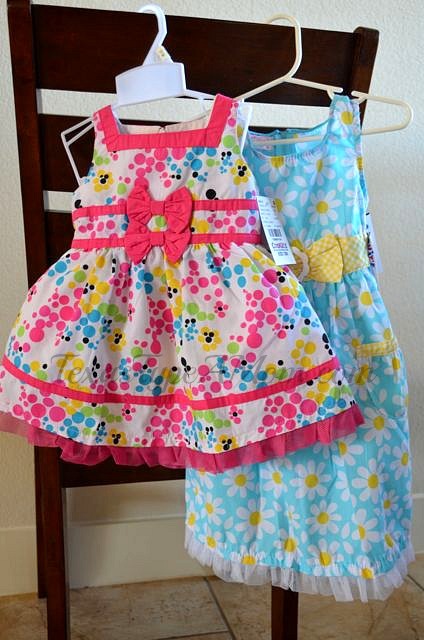 I was able to buy both girls Easter dresses and some frilly socks for Brady for less than $30! This is such a great deal! I know I could have easily spent even more than that for Target Easter dresses. Cookie’s Kids isn’t just for baby Easter dresses, be sure to visit them for more toddler Easter outfits, little boys suits, and big kids clothes too. And if you live in the New York City area, be sure to visit one of their seven stores or visit CookiesKids.com for all of your kids spring fashion needs. I’ve shopped at Cookie’s Kids before and the selection is huge. I love both of the dresses you chose. Your girls are beyond adorable! 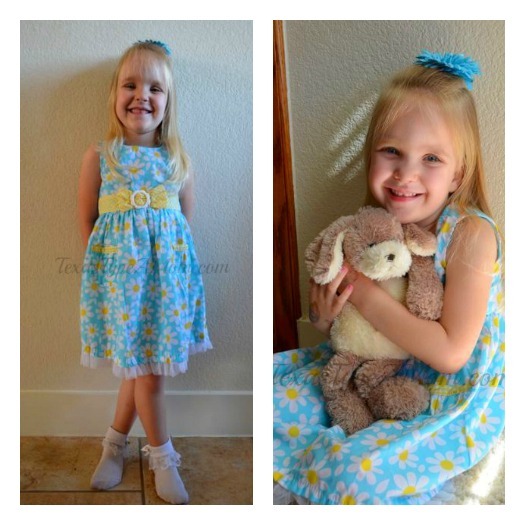 Those Easter dresses are adorable! I love Cookie’s Kids, they have such great stuff at fantastic prices! I didn’t know they had such cute offerings there. Love them! Either way, your family is going to be adorable. It doesn’t even matter if you all wore clashing colors! Oh how cute are those dresses. I like shopping at Cookies Kids. Large selection of clothing at affordable prices. ohhh the dresses are so so so cute!! Ahhh – they are so cute. I remember my mom picking out mine and my sister’s Easter dresses when we were kids, but alas – I have boys, so I won’t be picking out dresses, well, ever LOL. Adorable! It’s times like this when I really want a girl! Awwww this really makes me miss when I would dress shop for my daughter. Now I can’t even mention the word dress. Your girls are adorable, you found great dresses at fabulous prices! 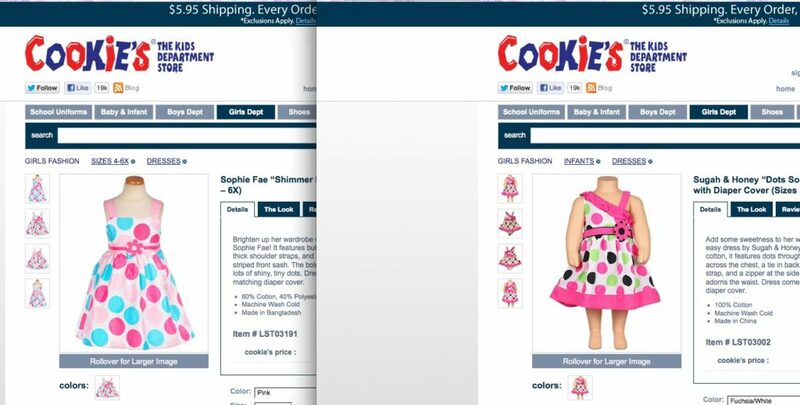 I love CookiesKids, I am heading there right now to find outfits for my kids for Easter!